This anecdote was fresh in my mind last night when I attended a Q&A with Anna Karina at The Film Forum in New York. I went to the event with a short list of potential questions, but when the time came to ask, I was paralyzed. I just couldn't do it. Sometimes people are so significant, so seminal to your cinematic obsessions, that interacting with them feels off-limits, cosmically impossible. I had to put my nose on my plate. And, honestly, direct interaction isn't necessary to fully appreciate the presence of a person you admire. The Film Forum is a relatively small venue, which gave the event a certain intimacy that made you feel like you were part of a private party with Anna Karina. She was there for a full hour, telling fun stories I hadn't heard before, sharing her thoughts on directors-- including many who were not named Jean-Luc Godard, even listing some of her favorite classic films and stars (Rio Bravo, Gone with the Wind, Doris Day, and Judy Garland to name a few)! It was such a delightful evening that I couldn't stop smiling (I was living the Friends quote "you look like you slept with a hanger in your mouth!") and my poor dad, who accompanied me to-and-from New York since it was super late, got a full 90 minute train ride worth of Karina stories when I'm sure he would have much rather been napping. And now I can pass some of those stories on to you! I don't know if this makes me a huge creeper, but every time they projected something for us to watch with her, I watched her watching it instead. I did the same thing at The Paley Center last year when Robert Redford was shown some of his early tv roles. It's just so special, I think, to see their reactions. Karina had nothing but happy memories to share (even an anecdote about Godard going out to buy cigarettes and returning three weeks later was told with forgiving fondness) and it was clear from her giant smile that this video must have brought some of them back. Sidenote -- although she had no idea where he went, and had no way of getting in touch with him while he was gone, during one of his disappearing acts Godard visited Ingmar Bergman in Sweden and returned with costumes for Karina to wear in Pierrot le Fou. Every time I've ever seen Karina interviewed, the bulk of the questions revolve around her relationship with Jean-Luc Godard, her ex-husband and the director of seven of her movies. It's understandable, since their collaborations hold such an important place in movie history, but she starred in so many non-Godard films, wrote novels, directed movies and even released a couple albums. I've always wanted to know more about the Godard-less parts of her life and last night that opportunity finally presented itself. I wanted to hug Film Forum director Bruce Goldstein when I spotted him in the lobby after the event, I was just SO happy that someone finally asked her questions about the rest of her illustrious career! But um... first one more Godard anecdote because I hadn't heard it before and maybe you haven't either... Karina said that they fell in love over the course of the three month shoot for Le Petit Soldat. They kept making eyes at each other, but Karina had a boyfriend at the time. One night they were all out to dinner and Karina felt something poking at her leg. Godard was sitting across from her and was passing a note under the table. It read "I love you. Rendevous at The Café de la Paix at midnight?" Karina was sitting next to her boyfriend who saw the note and read it, asking "well, you aren't going to go, right?!" but she thought about it and said.. "no, I'm going to go!" 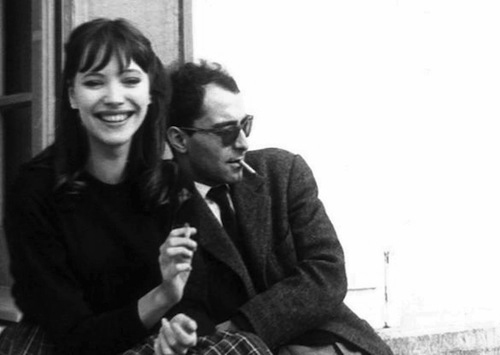 When she arrived Godard was sitting at the cafe with his head hidden behind a giant newspaper. She said she knew it was him, even though she couldn't see his face, and she stood there for "what felt like an hour but must have been 40 seconds" waiting for him to notice she was there. When he finally put the paper down he said "what took you so long?" and the rest, as they say, is history! After covering all of the Godard bases, Karina and Goldstein sat down in the front row of the theater and watched as they projected images of some of the posters from her other films. Then Karina would tell a small anecdote about each movie. This had to be my favorite part of the night! - On The Stranger - Karina was so proud of this movie, and felt like it didn't get the recognition it deserved in France because the French didn't think Italian director Visconti could do French novelist Camus' story justice. Goldstein mentioned that the film hasn't been screened in America in a long time due to rights issues. - On Laughter in the Dark - Richard Burton was initially cast in Nicol Williamson's part, but was fired after arriving to set late and inebriated one too many times. Karina cried when he was fired because she loved him so much, and then Williamson's lack of punctuality and sobriety rivaled Burton's, anyway! - On Shéhérazade - She recalled that Godard had a small part in this film, in which he plays a character who walks on his hands. Evidently this was one of his talents, and he could even walk up stairs on his hands! Who would have thought! 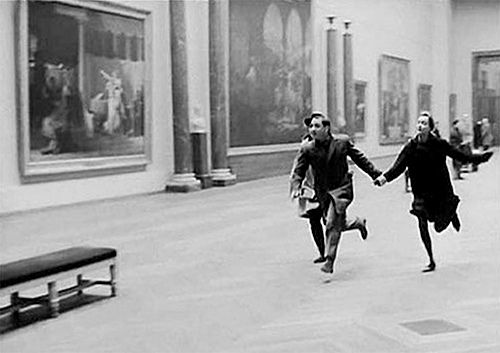 Goldstein remarked that he never pictured Godard being a particularly athletic person, but Karina protested and said he was also a very fast runner! - On The Nun - Karina enjoyed working with Jacques Rivette and had actually played the same role in the theater production before making the movie. She won an award for her stage performance and some 50 years later was still absolutely BEAMING with pride when she mentioned it. It was adorable! The film version was banned in France for two years, which baffled Karina because she said Rivette's work was always so "pure." 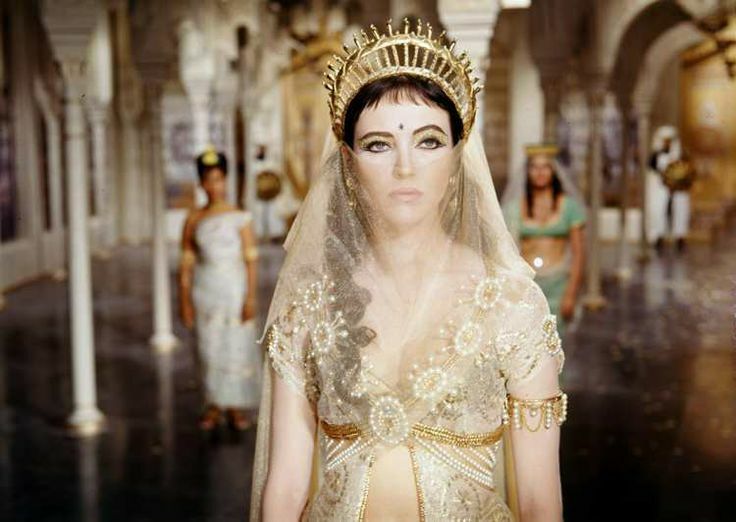 - On The Magus - Anthony Quinn hated the way that the French pronounced his name, since it sounded like Anthony "Queen"
- On La Ronde - Roger Vadim complained that no matter what he put her in, no outfit made Anna Karina believable as a maid. - On Justine - George Cukor wasn't particularly fond of French food and would say to Karina that he wanted to go get a burger, a nice big burger. The slideshow stopped at Chinese Roulette and Karina exclaimed that they had left out so many of her movies! Goldstein replied "if we kept going we'd be here for days!" I'm pretty sure nobody in that audience (save, perhaps, Karina, since she had an early flight to Paris in the morning) would have objected to that, though.. They screened two more clips for us; Les Fiancés Du Pont Macdonald, the short silent feature that Godard and Karina starred in for Agnes Varda, and the opening sequence from Une Femme est Une Femme. It's funny the things that get to you. 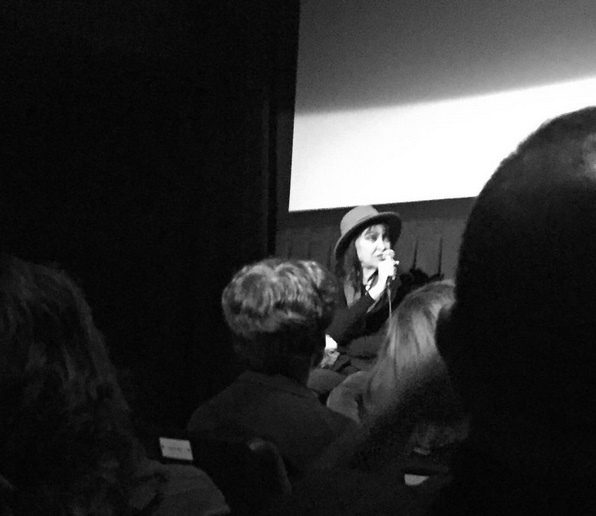 As I wrote about earlier this week, last Saturday I had the immense pleasure of seeing Anna Karina at the TCM Film Festival. I sat in the front row, a mere feet away from her during her interview with Ben Mankiewicz. My stomach was in knots before, during, and after. I was excited in that "this doesn't seem like reality" kind of way. It almost felt like an out of body experience, like it wasn't ACTUALLY happening. But last night as I saw Anna Karina watching Anna Karina, as Charles Aznavour sang the opening lines of Tu t'laisses aller, it suddenly felt very real. And it got to me. Une Femme est Une Femme was the movie that got me hooked on Anna Karina, and one of the first films that sparked my obsession with foreign cinema. I've spent years emulating her style in that film, listening to Aznavour records and pretending that I'm way cooler than I could ever actually be. It's a role that surpasses terms like "favorite" because it isn't just a movie role or an actress, it's a summation of everything I want out of movies, everything I want to be, everything I want out of life. It's one of those movie experiences where something in your brain clicks "on" and you think -- yes. THIS. 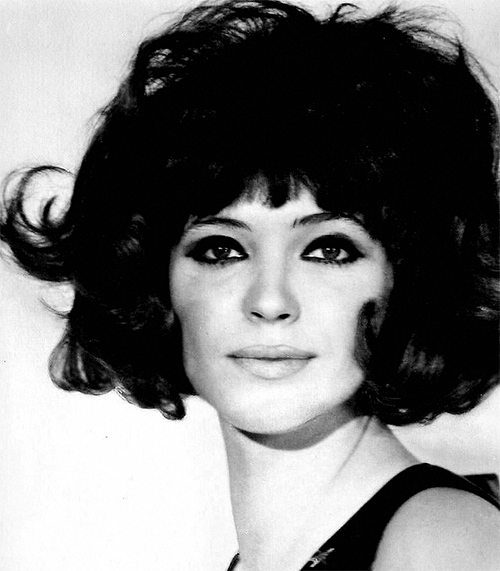 Update: The Film Forum has posted the entire audio from Anna Karina's Q&A on their website! You can listen right here. I constantly bemoan the narrow definition of Karina as "Godard's muse" and complain regularly that she doesn't get enough credit for her work without him, and then I ended this post with a Godard reference. You've convinced me to see "Une Femme est Une Femme" and I've added it to my Amazon Watchlist :-) So cool you got to have this special experience with someone you admire so much! It took me so long to get around to reading this. Just felt all wound up about it for some reason. What is it about this woman? Anyway, great report and I loved your insights. I agree that there are some people better left to admire than to know.